Se-tsu-bun is the day before spring in Japan, and is commonly celebrated on the 3rd February each year. On this day, Japanese people practise Mame-maki （まめまき), or bean-throwing. Roasted soy beans, called Fuku-mame （ふくまめ）are thrown either out the door or at a family member wearing the Oni (demon or ogre) mask, while people say, ' Oni wa soto, fuku wa uchi (おにはそと、ふくはうち）which means 'Out with the demons, in with the fortune'. As part of the Setsubun custom, Japanese people also eat the number of beans for each year of their life, plus one more to bring good luck for the year to come. 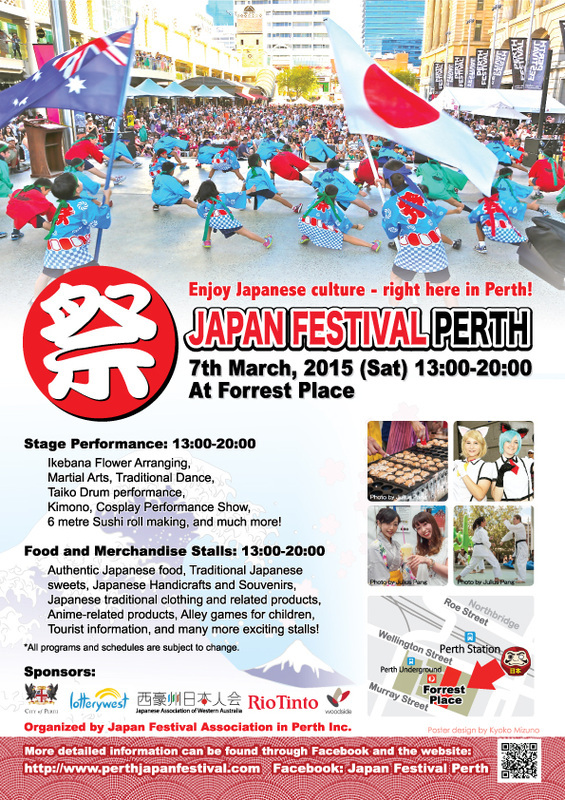 The Japanese Festival In Perth, 7 March 2015.